LP-5131 | Linux Controller with 800 × 600 VGA port, LinPAC SDK, microSD card, Audio, Din Rail Mount, USB, Ethernet, RS-232 and RS-485 ports. Supports operating temperatures between -25 ~ +75 °C (-13F ~ 167F). 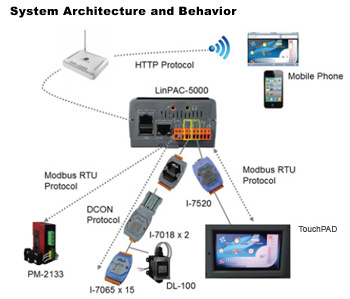 Linux Controller with 800 × 600 VGA port, LinPAC SDK, microSD card, Audio, Din Rail Mount, USB, Ethernet, RS-232 and RS-485 ports. Supports operating temperatures between -25 ~ +75 °C (-13F ~ 167F). 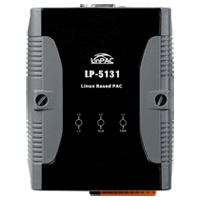 The LinPAC-5000 is the new generation Linux-based PAC from ICP DAS and is equipped with a PXA270 CPU (520 MHz) running a Linux kernel 2.6.19 operating system, various connectivity (VGA, USB, Ethernet, RS-232/485 and audio ports), contains an optional I/O expansion board that can be used for implementing various I/O functions (e.g., DI, DO, A/D, D/A, Timer/Counter, UART, flash memory, or battery backup SRAM, etc. 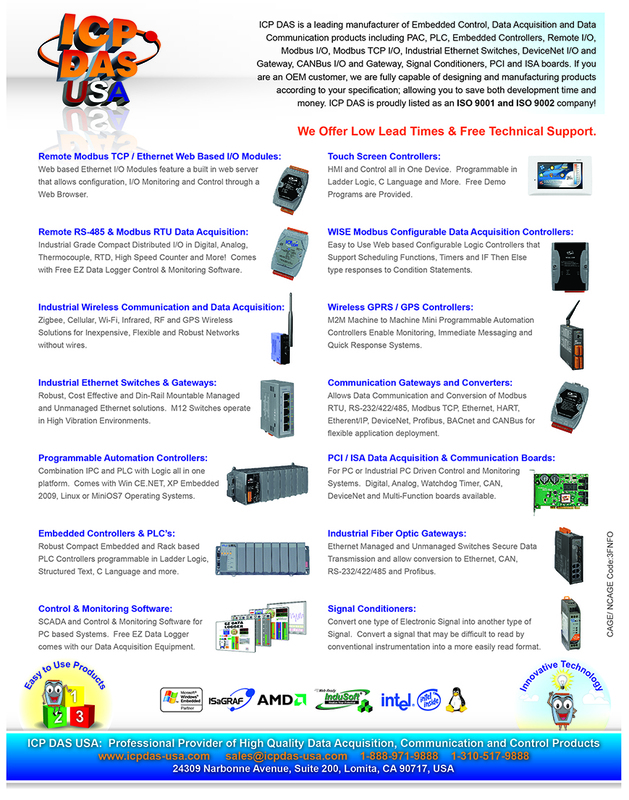 ), together with a wide range of powerful software and development tools. 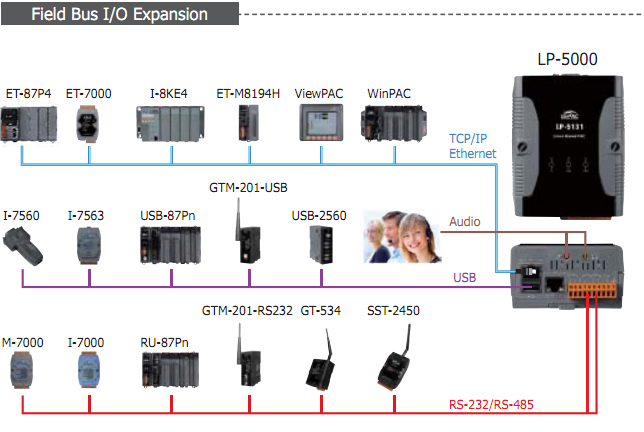 Main advantage of the LinPAC-5000 is its high quality control system, including its stability, small core size, optional I/O expansion board, support for Web services (Web/FTP/Telnet/SSH server), and multiple development environments (LinPAC SDK for Linux and Windows environment using the GNU C language, JAVA and GUI software), etc., all of which give users the best features of both traditional PLCs and Linux capable PCs, meaning that it is one of the most powerful and flexible embedded control systems available. Other - USB WebCam, RAM Disk, Resolution : 32 bit 800 x 600, OEM LinPAC Boot Logo.